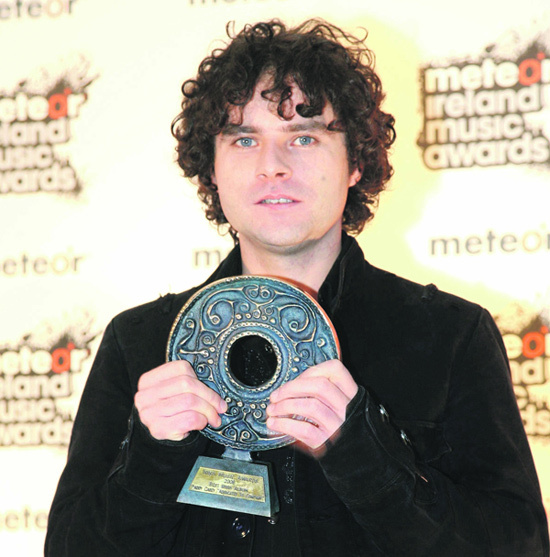 Paddy Casey with his Meteor Award for 'Best Irish Album' in 2008. Dubin-born Casey has been the forefront of the Irish music scene since his debut album ‘Amen (So Be It)’ was released in 1999. He was originally discovered by a Sony talent scout playing at the International Bar in Dublin. His second release, ‘Living’ became the biggest seller in Ireland, out-selling even U2, and featuring the hit singles ‘The Lucky One’ and ‘Saints and Sinners’. In more recent times, Casey has shared the stage U2 on their Vertigo Tour, and he’s had a week long sold-out residencies in Dublin’s prestigious Olympia Theatre and RDS. He’s also performed on the CBS hit chat show ‘The Late Show’ with David Letterman. The intimate venue of the Linenhall may well be the closest thing an audience gets to recreating that record’s genesis – and a show Casey fans would be loath to miss.